Relentless pursuit of quality of care and patient safety. Integrated treatment: Considering the total health of our patients, starting with their smile. 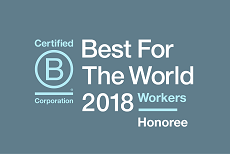 Best in the World for Workers! We're proud to be honored among the Best for Workers for the 2nd year. Evidence-based care: Using the best available peer reviewed literature to define our approach to care. Located in the heart of the beautiful Willamette Valley, Oregon's capital city of Salem offers something for everyone. Located north of the Pacific NW's Columbia River,Washington offers limitless scenic areas,bustling cities, and abundant historic landmarks. Portland has been called "a big city with a small town feel" and "the city of books, beer, bikes and blooms." It has mild weather, breathtaking scenery, and friendly people. Ethical treatment: Providing the right care for our patients. PDA is looking for experienced dentists! If you have at least one full year of experience or have completed a residency program, we’d like to hear from you.